Sofia is the biggest city of Bulgaria, and Sofia is also one of the European capitals more compact and walkable although Sofia continues being one of the European cities least known for the foreign travelers. Sophia in general is overlooked by the tourists in their way to the coast or the ski resorts. Certainly the tourist who don’t visit Sofia in Bulgaria are missing a very special city of Bulgaria. Sofia has a young and dynamic environment, Sophia is a city that is waking up after decades of lethargy, and is turning into the sure and cosmopolitan European capital. 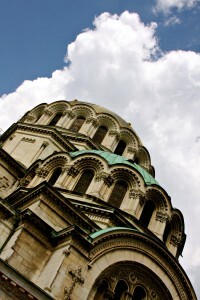 In Sofia there are many churches with dome of onion, Ottoman mosques and monuments of the Red Army, but in these days also the buildings and historical monuments of Sofia share the horizon with ostentatious malls, five stars Hotels and the best bars and clubs that the country has to offer. Though there is no a great metropolis, nevertheless, Sofia is an attractive and educated city with many things to offer that they will keep it occupied for several days. 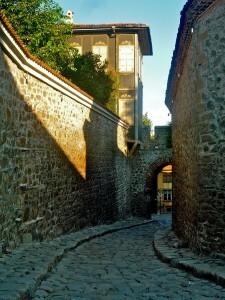 In Sofia there are museums, art galleries, theatres, restaurants, bars, etc. Sofia is a surprisingly green city, with enormous striping of parks inside the limits of the city, tracks of ski and routes of hiking in the hillside of the powerful Monte Vitosha. The city undoubtedly has developed rapidly in the last years and a new wealth and it is evident in the fashionable boutiques internationally, luxury hotels in Sofia, casinos in Sofia and ostentatious cars with polarized windows in Sofia. But also there are big contrast in Sofia because unfortunately pensioners and disabled persons beg in the streets of Sofia, they are not a slightly common sight, but the majority of the citizens of Sofia are hopeful that in the the future Sofia will be named as the most new city of the European community. For the majority of the foreign tourists, the coast of the Black Sea is Bulgaria, and the beautiful tourist complexes of the black sea are turning in serious competition for Spain and Greece into the attraction of international tourists. Many tourists, certainly, only fly, swing in the Balk sea, have a sunbath themselves in the sunny beaches of the Black Sea and fly on a returning flight to its country without seeing anything beyond the parasols and water motorcycles. 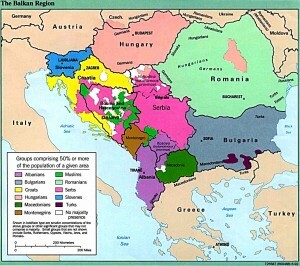 But the independent travelers will find a great variety of places to explore, including the empty beaches to south and north (It is advisable to visit Sinemorets before that the massive tourism invades this places of Bulgaria), also there can be seen beautiful ancient cities like Nesebar and Sozopol and one of the most attractive cities of Bulgaria, “Varna” that is considered to be the regional not official capital of Bulgaria. Those who have its own transport will have still major options, with the natural sites of the Nature reserve Strandzha and And the picturesque Kaliakra Cap and the region Dobrudzha in the north of the coast of the Black Sea. Much more than any other region of Bulgaria, the coast of the Black Sea has been the target of the real estate developers in the last years, and almost everywhere you will be able to see the works of massive construction of hotels, complexes of apartments and houses of vacations. All that is damaging a lot what at some time were beaches virgins, in addition they are opening extensions of sand and exercising pressure on the local fauna. The environmentalists have expressed their worries on the pace and the scale of the development, but always and when the money is paid, the construction continues. Though Batak is more famous in the modern tradition of Bulgaria for its bloody history, this calm and depressed city is more known today for the lake Batak, ideal for the summer fishing and the swimming. The ships can be rent near Hotel Panorama. Albena is one of the major tourist complexes of of the coast of the Black sea, Albena has been progressing constantly from 1969 and takes the name of the heroine of Yordan Yovkov’s homonymous work. Extended on a wide area, and with a beautiful beach, of 4 km from length it is ideal for the sports of slightly deep waters, is very popular between the Europeans vacationers. The disadvantage of Albena’s city is the horribly expensive price for almost everything. Albena competes with Sunny Beach (Slanchev Bryag) as the most expensive place in Bulgaria. Burgas is the door of entry to some of the tourist centers of beach of the coast of the Black sea and to the cities with more history of Bulgaria. Burgas (written sometimes as “Bourgas”) rarely takes its reputation as a tourist destination for own right. Often it is compared unfavorably with the most cosmopolitan city of Varna, but beside being an important industrial center and of transport, Burgas is a vivacious city, a university city without pretensions that works as a good base to explore the south coast, whereas its beach with few people, the maritime wooded park and its museums can prove as a very attractive offer for any tourist. 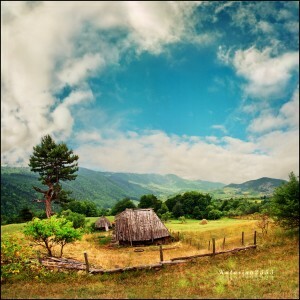 The central Balkans are a few beautiful ranges of high mountains of surprisingly beauty, they are called Stara Planina (Old Mountain, or the Balkans) to local level – they occupy a big part of the territory of Bulgaria. 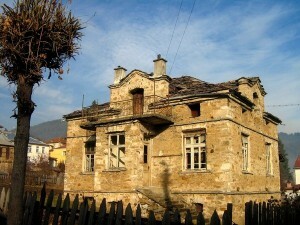 The zone is splashed with villages with renaissance style from the 19th century (Veliko Tarnovo, Koprivshtitsa, Tryavna Kotel are the villages that stand out). There are many routes of hiking across the wide zone of the National Park The Central Balkans where also it is possible to ski and walk in bicycle. The famous international path of hiking E3 crosses rightly hereabouts. 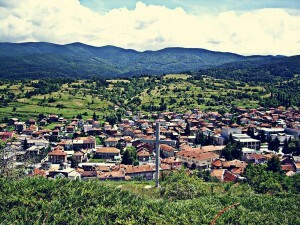 Other pretty centers to visit are Kazanlak, Sliven and Shumen but they are less popular. Some travelers are changing the trains or buses into the exterior sections of the Stara Planina of Stara Zagora, where there is a nice central garden and little more to see. In Hisar’s Bulgarian city (also known as Hisarya) the therapeutic mineral springs have been a primary demand to Hisar’s reputation from the Roman epoch, when it was nominated Diokletianopolis, for the emperor Diocleciano. In total, there are 22 springs of mineral water that are known to treat many ailments. The popularity of Hisar’s fountains still nowadays has assured the means of subsistence of this village of mountain of dream. Provided that Hisar is more visited in summer, in winter you will take place more to enjoy Hisar without so many tourists. The principal street has a few ruins of the former Rome, though the principal reason of Hisar’s visit nowadays is to take Spa’s therapy. Vitosha’s mountainous chain has 23 kilometres of length and 13 kilometres of width, is located just to the south of Sofia, sometimes it is mentioned as ” Sofía’s lung ” because it gives to Sofia a refreshing breeze that turns contaminated airs aside from the capitallos. The mountain is a part of 22, 726 hectares of Nature reserve of Vitosha, the major one of its type in Bulgaria (created in 1934). The highest point is the Mount Cherni Vrâh (Black Beak(Peak); 2290m), the highest fourth peak in Bulgaria, where the temperatures can fall in January up to -8 º C.
Beside being a popular ski resort in winter, the nature reserve is very popular between the wayfarers, trippers and tourists the summer weekends, and receives about 1,5 million visitor a year. There are dozens of clearly marked paths, some hotels, coffees and restaurants and numerous huts and chalets that assure an excellent stay in Vitosha. Chepelare is a calm slightly attractive village and a center of ski, Chepelare’s modest city glides to join to the much bigger and stronger village of Pamporovo that is located to only 6 km by the road. In summer, the nearby mountains offer excellent excursions . Chepelare supposedly is submitted to advertisings embellishments by the European union, though little progress is evident, partly because they have fewer ancient houses than other villages more traditional and known in Bulgaria.